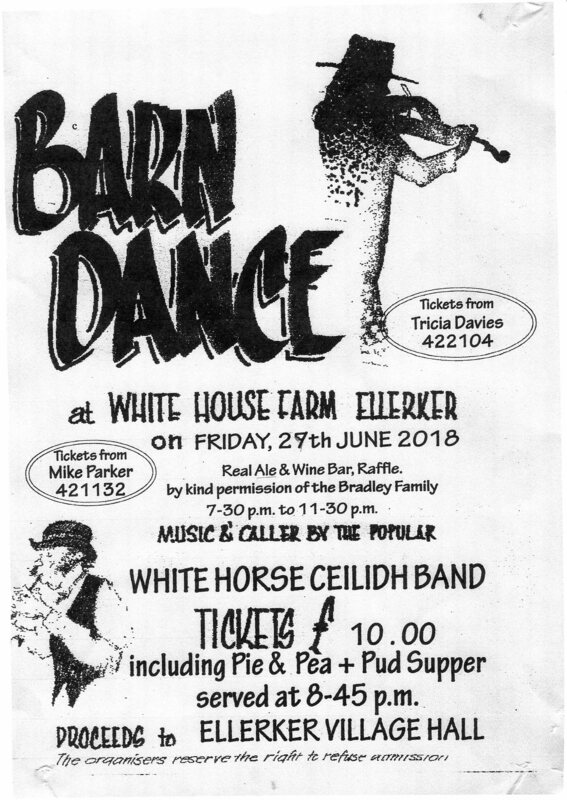 Dance to the WHITE HORSE CEILIDH BAND at White House Farm, Ellerker from 7.30pm until 11.30pm. 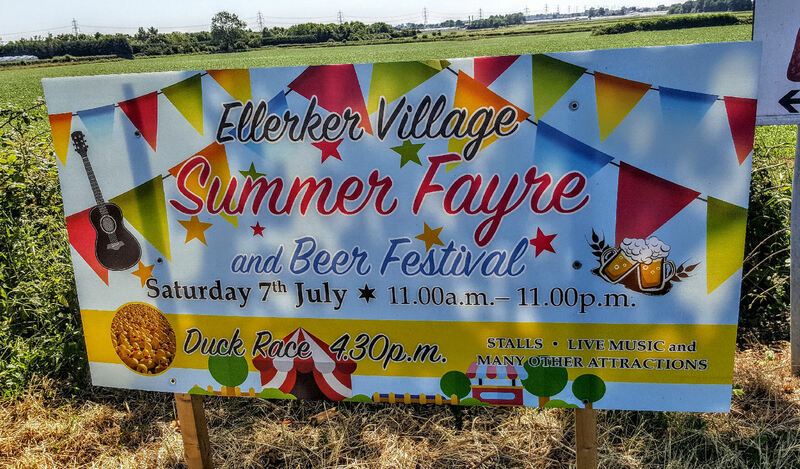 Tickets £10 from Mike (421132) or Tricia (422104). 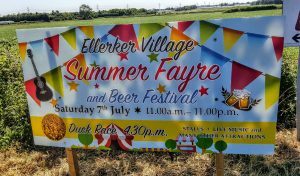 There will be Real Ale & Wine Bar and a Raffle. Price includes Pie & Pea & Pud supper – at 8.45pm! 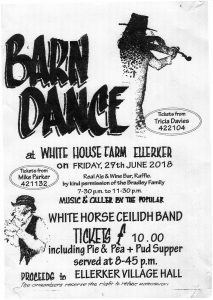 This entry was posted in Parish News on 5th June 2018 by AdminTJP.